Lake Bled is a cozy little town nestled 475 m (1,558 ft) above the sea level in the Julian Alps. It is said that the region was occupied as early as the 7th century but due to its old age, the original name of the area has been lost to time. Fortunately, what has been left intact is a magnificent destination filled with history, scenery and wonder. As a matter of fact, there aren’t too many destinations in the world that can be compared to the natural beauty that this little alpine retreat has to offer. 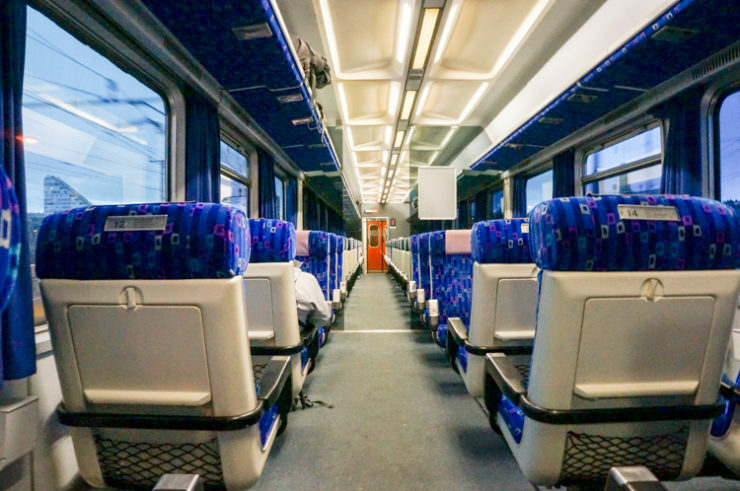 There are several ways to get to Lake Bled depending on which method of transportation you prefer (air, car, bus or train) and how much time you have. The nearest airport to Lake Bled is the Ljubljana Airport. Unfortunately, there are no flights to Lake Bled as the Lake Bled Airport does not exist. However, getting from the Ljubljana Airport to Lake Bled is quite easy. The bus operates daily (July 1st – Sept 1st), every hour on the hour (9PM-7PM). Getting from Ljubljana to Lake Bled by car is quite simple, too — the main route is a short 55 km / 34 mi ride from the city. As long as you don’t run into any traffic along the way, you’ll reach Lake Bled within 45 minutes to an hour. An alternative way to get to Lake Bled would be to take the regional road by Medvode and Kranj. The Bled bus station is well connected to Ljubljana, and it’s within walking distance to the lake. There is also a regular bus from Ljubljana to Lake Bled, so it’s easy to get there by bus. Note: If you have luggage with you, it’s best to take a taxi from the Bled Bus station to your accommodations. While there isn’t a train station which arrives precisely to Lake Bled, there are two nearby stations that you can arrive to. This is the larger of the two stations and it’s the main route from Slovenia’s capital city of Ljubljana. However, the station is about 4 km (2.5 mi) away from Bled which means you would either need to catch a taxi or a bus from the station to the lake. Bus tickets from Lesce station to Lake bled will cost approximately €1.30 and can be purchased on the bus. The other station is Jezero Bled, which is on the Jesenice/Nova Gorica line and drops you closer to Bled; approximately about 1.5 km (0.9 mi) from the station to the center of town. When it comes to Lake Bled accommodations, there are a wide range of options available from Airbnb apartment rentals, to hostels, hotels and even camping for those of you who like to live life on the adventurous side. 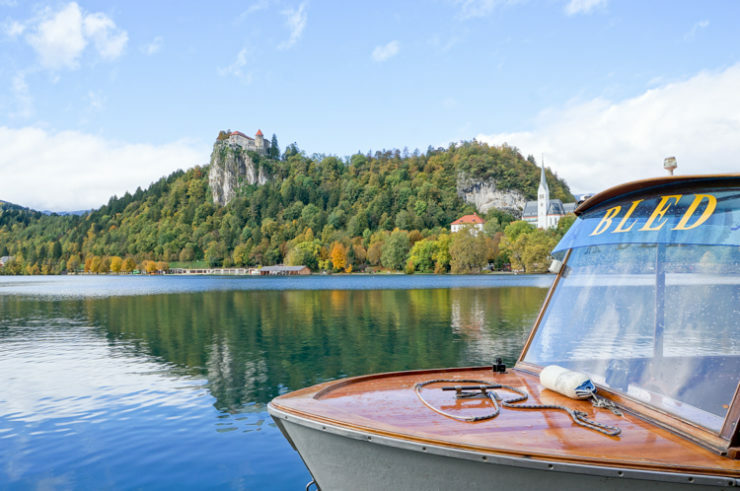 While all of the accommodation options above offer different amenities and price ranges, we highly recommend Airbnb when looking for a place to stay in Lake Bled. 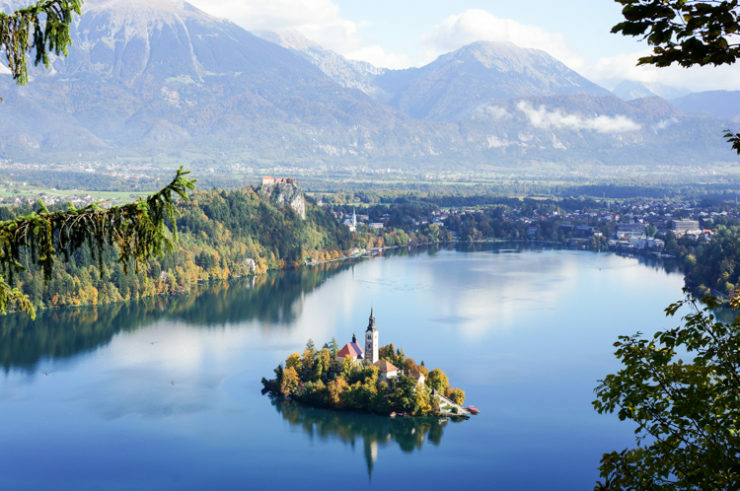 One thing we would like to note is that generally speaking, accommodations in Lake Bled are considered to be quite affordable, especially if you’re traveling from nearby countries such as Austria; Slovenia’s significantly more expensive neighbor. 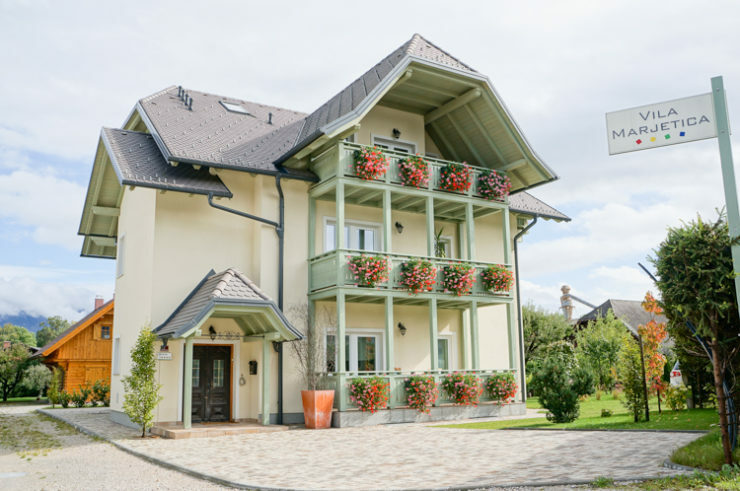 When it comes to Airbnbs in Lake Bled, there are several budget friendly options as well as higher end accommodations for those who like to travel in style. One of the many benefits of renting an Airbnb in Bled is that you can rest assured that you’ll get the cozy-home like feeling of having an entire place to your own. Many apartments are equipped with small kitchens in case you want to cook a few meals at home and spacious living areas where you can kick back and relax in the evenings after a long day of wandering around town. 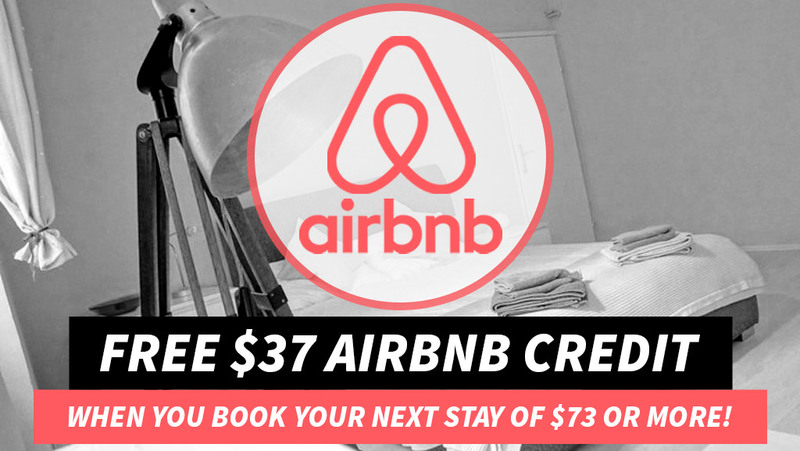 Below, you’ll find a short list of recommended Airbnbs in Bled. 🏠 If this is your first time using Airbnb, we recommend that you read our Insider’s Guide to Saving Money on Airbnb Apartments. 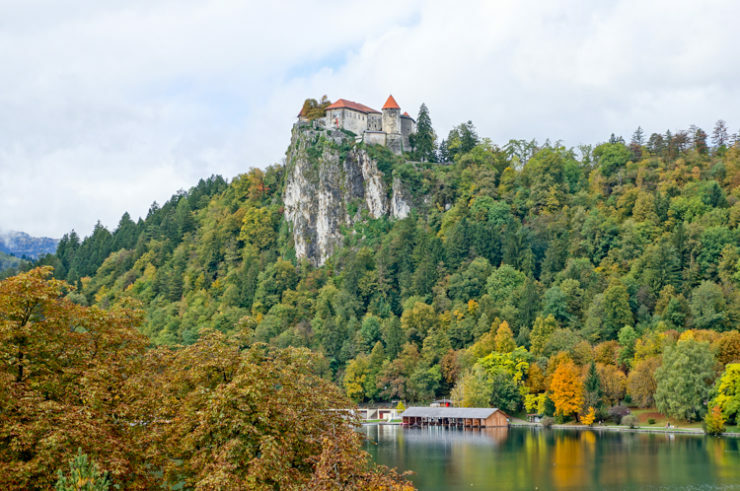 Lake Bled receives lots of budget minded travelers and if you’re one to focus on saving money while traveling, our recommendation would be to explore some of the many options available when it comes to hostels in Bled, Slovenia. As long as you avoid the odd party hostel, this style of accommodation usually provides you with a small but decent room with a basic bed and private/shared bathroom. You’ll find that there are Lake Bled hostels which suit just about any budget, each with their own varying features and amenities. Below, you’ll find a short list of recommended hostels in Lake Bled. While hotels are by far the most expensive accommodation option in town, Lake Bled hotels are plentiful. Hotel stays in Bled can be a perfect fit for those who don’t mind spending a few extra Euros per night in exchange for the service, dining and amenities that these establishments have to offer. One of the best ways to truly experience the beauty and nature of this beautiful destination is to try your hand at Camping in Lake Bled. The stunning Alpine terrain provides incredible opportunities for those who enjoy camping and hiking. Garden Village Bled – This resort offers a wide range of unique camping experiences such as the opportunity to stay in Treehouses (also known as tree lodges), pier tents, glamping tents and more. 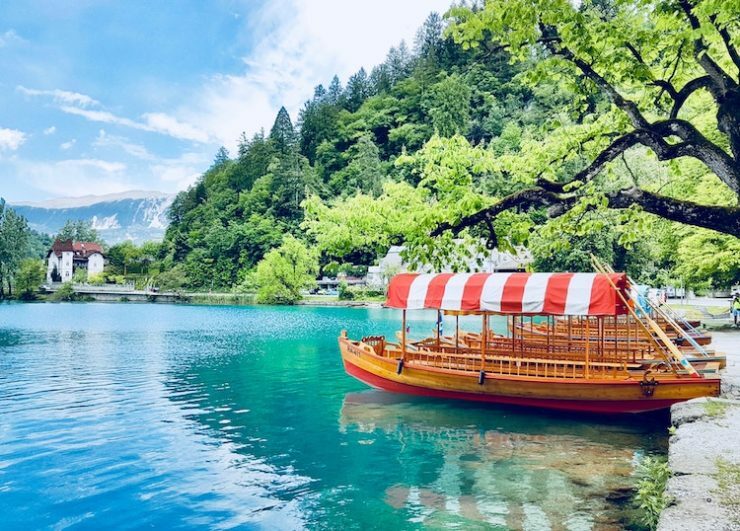 Lake Bled is absolutely packed with things to see and do and since it’s a popular outdoors destination, most of the activities found here are nature and adventure oriented. One that you can be sure of is that you’ll be treated to some of the most scenic views you’ve ever witnessed with your own eyes. Just wait until you catch a glimpse of the Lake Bled Church from one of the many viewpoints up on the hill and then you’ll know exactly what we’re talking about when we say that you will be absolutely blown away by the scenery here. As you’ll soon see for yourself, there is a sense of awe present in Lake Bled, so whatever you choose to see during your visit, we can assure that you will not be disappointed. Below, you’ll find a list of recommended things to do in Bled — all of which are amazing in their own right. Bled Island is one of Lake Bled’s most popular sights and attractions with a beautiful church known as the Lake Bled Church. 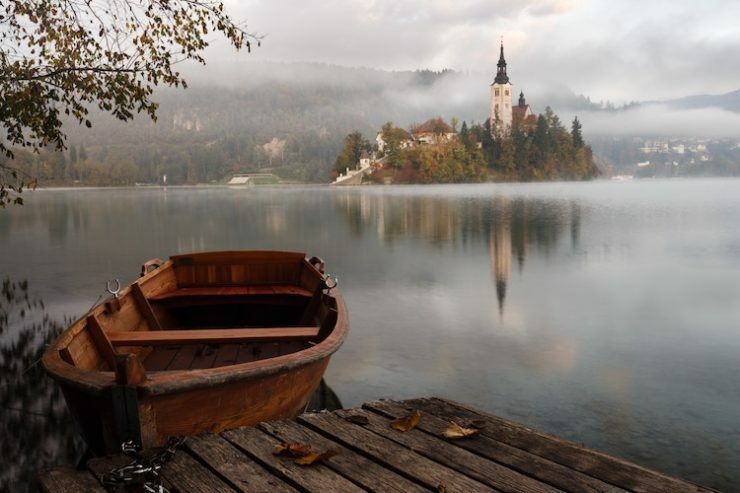 In the past, Bled island was home to an ancient temple dedicated to the pagan goddess of love, Zhiva. The island is surrounded by lush greenery, most of which hides other smaller, but just as interesting, buildings and structures. Although the island used to be home to the temple to the goddess, Zhiva, today it’s the home to a Baroque style church. The church was built after a devastating earthquake destroyed the temple in the 17th century, and now, a central altarpiece of the Virgin Mary stands instead of a statue of Zhiva. If you’re lucky, you might be fortunate enough to catch a beautiful Lake Bled wedding ceremony on the island — fingers crossed. 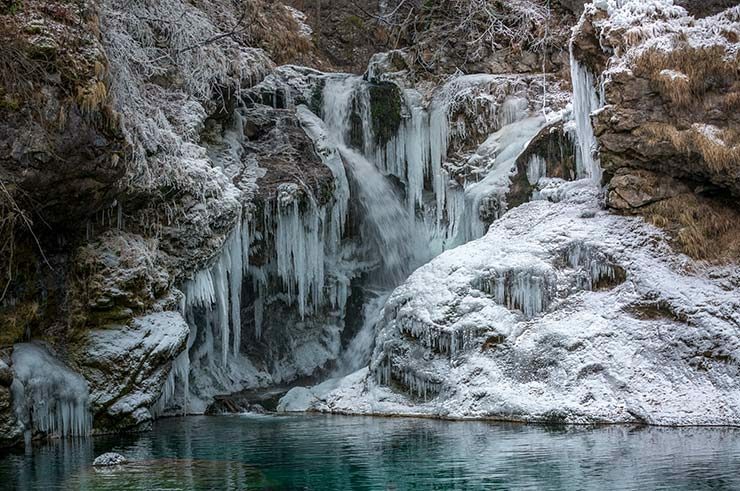 The stunning Vintgar Gorge is a breathtaking ravine filled with natural wonders. It used to be completely impassable but today, however, it’s one of the most important tourist spots in all of Slovenia. 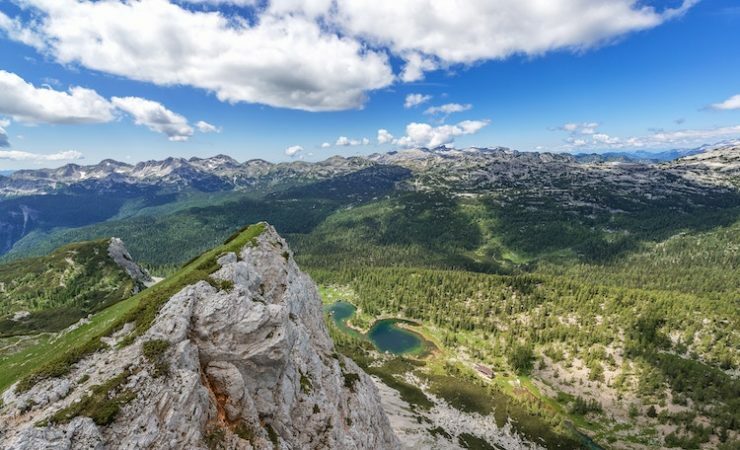 While Triglav might be the only National Park in Slovenia, it covers around 4% of the country’s territory. It’s a beautiful and dynamic part of the country, and it’s filled with unique flora and fauna, many of which are endangered. From valleys to plateaus and meadows, Triglav is a beautiful place worthy of a visit. Bled Castle is not only a medieval, fortified castle but also home to a museum with a collection holding Lake Bled’s history from the 19th century until present day. Some of the many items on display in the Bled Castle Museum include collections of armor, weapons and jewelry. The castle itself dates back to the early 11th century, and was built on two levels. It was originally built as a single Romanesque tower, but later on fortifications were built around it. The castle was destroyed and damaged later in the 16th century, but it was restored to its current glory shortly afterwards. 💡 Tip: Save money by reserving a table at the Castle Restaurant in advance. Patrons who dine at the restaurant get free admission to the castle. Crossing Lake Bled by boat is one of the most peaceful and memorable things you can do on your holiday to Bled. The Pletna Boat is a traditional style boat which the locals have been using since the 16th century. They’re recognizable due to their colored awning covering the boat, and they can carry up to 20 passengers at a time. On first glance, they seem like typical cream cakes. However, there is something about these cream cakes that are like none other. 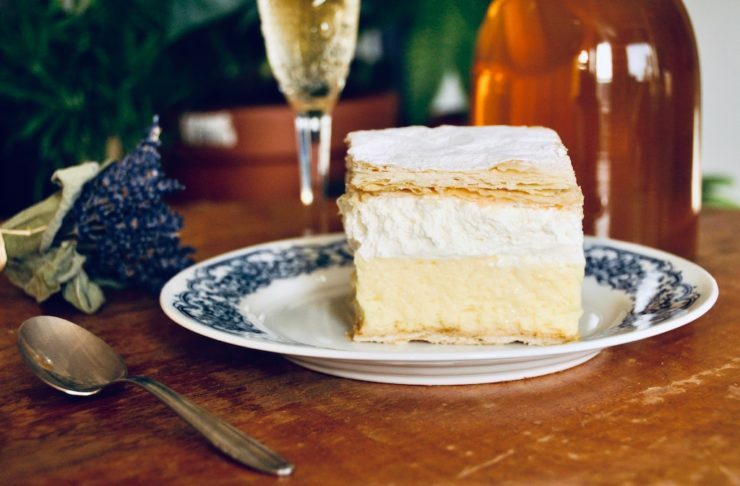 Native to Bled, this is hands down the most popular dessert in town — and rightfully so. Looking to take part in some adventure sports in Lake Bled? If so, you’ll definitely want to give Canyoning a try during your upcoming visit to Bled. There are many tours that will take you around the Lake’s waterfalls, both small and large canyons, and the famous Soca River. You’ll get to enjoy magnificent panoramic views of the unforgettable Julian Alps, and so much more. As you can probably imagine, rock climbing is an incredibly popular thing to do both in and around Lake Bled. Due to its proximity to the Julian Alps, there are a variety of cliffs and rock formations that both newbie and seasoned climbers can enjoy. Rock climbing in Lake Bled is an adventure activity that every climber must experience when in the area. There is more than one way to experience the amazing waters of Lake Bled. Stand Up Paddleboarding offers you the opportunity to learn new skills and relax, all at the same time. Your board and other gear will be provided for you; all you have to do is practice your balance and soon enough you’ll be paddling your way around the lake with some of the most incredible views of the town and the mountains in the distance. The Sava River is known for its great rapids, especially in and around the Lake Bled area. Whitewater rafting in Bled is an adrenaline pumping activity for those who don’t mind putting in a little work and getting a little wet. We recommend this activity to everyone from families to friends looking for a little adventure during their time in Lake Bled. Kayaking is an activity that everyone should experience at least once during their trip to Lake Bled. One of the best ways to take part in this activity is to join a tour and explore Slovenia’s Black Hole Mines. You’ll be fully immersed in the pitch dark with only a headlamp lighting the way forward, and you’ll get to explore unique and usually unreachable spots. There is no better way to experience the breathtaking nature of Lake Bled than from high in the sky. Zip lining in Bled gives you a birds eye view of the town and the lake below. 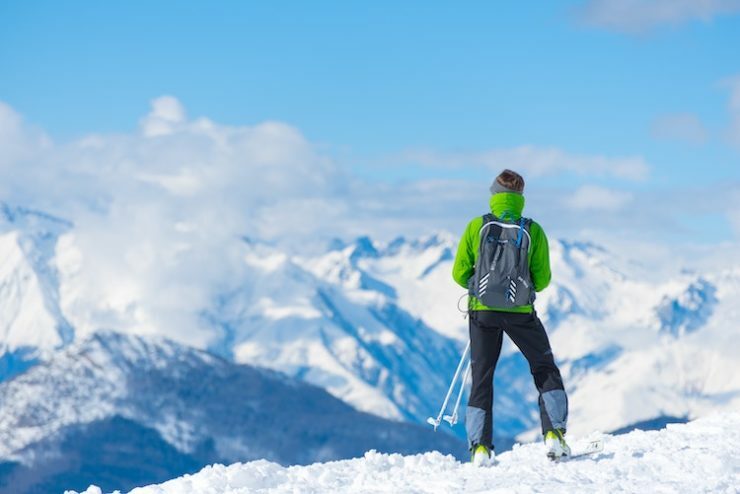 Thanks to the Julian Alps, the region around Lake Bled makes for a fantastic destination for skiers. Strazha is a highly recommended ski spot which is equipped with a chair lift and a machine that makes artificial snow when necessary. Cross country skiing is one of the most popular things to do in Bled when the area receives snowfall. It’s not only one of the most eco-friendly activities to take part in but it’s also an attraction that is slowly gaining more and more traction around the world. There are several tracks that connect most of the surrounding region, and Bled is one of the best spots to start. Walking on top of snow without falling inward truly feels like walking on clouds. That’s definitely one of the best-feeling things to do around Bled. It’s also a very healthy thing to do. Much of Lake Bled is very easily accessible once you’re there. Many of its attractions are neatly located relatively close, although there are certain things that are a little further away. However, it’s always recommended to try and use a more sustainable method of transportation when in Lake Bled. You can rent an electric bike, go for a carriage ride, or enjoy a leisurely walk around the lake. Unless you’re staying somewhere further away, you can walk through most of the park. Since walking is a sustainable way of transportation, it’s always recommended, but it’s also the best way to see all the best sights. 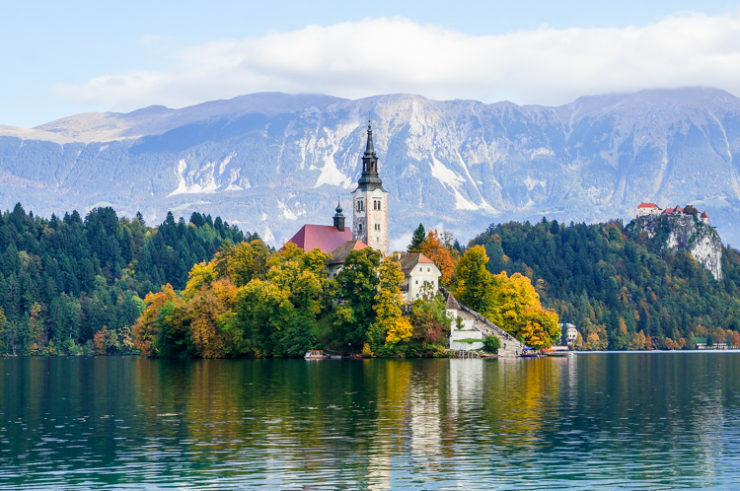 While it’s not absolutely necessary, it is definitely the best way to move around if you plan on visiting other destinations outside of Bled. Lake Bled weather makes it a year-round destination, given the fact that it’s pleasant and relatively warm for half of the year. Summer in Lake Bled is the high season and when the region receives most of its visitors, especially from mid-June to late August. Weekends, in general, tend to be very crowded, so you may want to avoid them if you don’t like large crowds. Lake Bled in winter tends to be quite cold, although it is popular for Christmas and New Year’s Eve. Winter in Bled generally brings a lot of snow but it’s still a great place to explore even during the winter months, especially if you prefer the feeling of solitude. Spring and autumn are good times to visit as the temperatures are slightly cooler and there aren’t too many tourists in town. The downfall of visiting during Spring and Autumn is that there aren’t always a lot of tours or activities on offer during this time of year. Lake Bled is a spectacular destination and one of the finest places to visit in Slovenia. It walks a fine line between melancholic and adventurous and it’s a place that we think everyone should experience at least once in their lifetime. 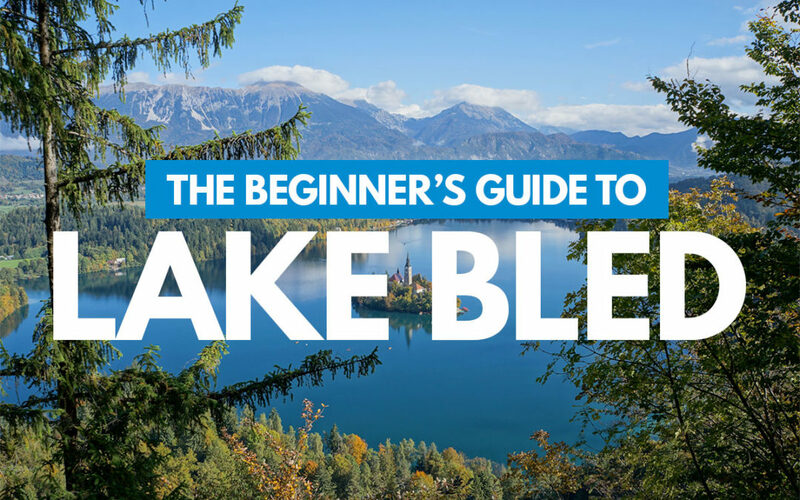 🗣️ If you find this Lake Bled travel guide useful, please share it with your family and friends. 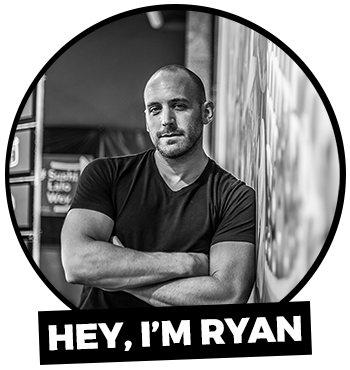 Also, feel free to leave a comment below with your questions and I’ll respond to you as soon as possible.